Starting today and ending tomorrow, the Mayor's Thames Festival always offers a fitting end to the summer season in London and, in what has - like it or not - been a rather good summer for London's mayor, it seems rather fitting that the annual huge party plastered with his title arrives in London on the final days of the Paralympics. 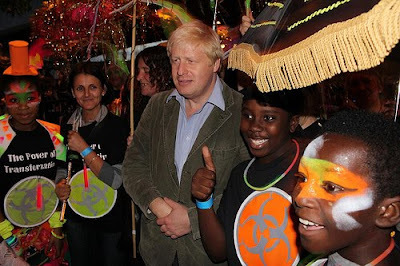 Boris has effortlessly managed to associate himself with almost everything good about London in 2012 whilst avoiding major incident, and London’s free end-of-summer festival is always a joyous celebration, so there is nothing to suggest that he will slip up here. Held since 1997, the festival is London’s largest outdoor arts festival, and all finished up with a big firework display. It can't really go wrong.